One of the best parts of my week is Saturday morning. This is for some of the usual reasons – relaxed morning breakfast with my wife and three young girls, the excitement of planning a family outing, and being able to sip my morning coffee without having to feel a rush for the door. Yet another reason I love Saturday mornings is Nonprofit Twitter. I don’t know how it happened, but I’ve come to expect and enjoy a series of insightful and respectful conversations with some of the best minds in nonprofit gratitude and fundraising today. Folks like Lisa Sargent, Denisa Casement, John Lepp, T. Clay Buck, and of course Pamela Grow. These conversations energize me and get me excited to get back to work on Monday. One recent conversation centered around a workshop I taught with fundraising consultant Michael Buckley of The Killoe Group (who graced Motivate Monday a few weeks ago!) and the absolutely fantastic lessons we learned about the reality of donor retention. There was a lot to unpack but one item that was of particular interest was my usage of donor personas in service of retention. I was thinking about this further as the conversation continued on Twitter and started to formulate a way to help nonprofits cut through the noise when it comes to how to merge the concepts of retention with efficient and effective messaging to donors. There has been a lot of discussion around how to properly analyze revenue alongside the ways that donors give. Not just in the form that they give (e.g. credit card versus check) but also the way that they give (e.g. online versus direct mail). This led me to a concept that I’m terming the Persona Priority Matrix. I wanted to share my thoughts on how to organize your own nonprofit’s work since there’s a lot of noise around even the idea of donor personas. The hope is that this thought exercise will allow your organization to think more strategically about the tactics and metrics that you should be applying to your own work. While best practices and benchmarks are useful to a degree, the reality is that we should be thinking about strategy in a way that will tactically apply to our own communities, not an idealized nonprofit in a case study you read about. Before diving into how to utilize the matrix itself, let’s take a big step backwards and even define the concept of personas in the first place. The concept of personas originally came from the marketing world as a way to group buyers into key segments of your audience. Yet there has been some exciting work done around developing donor personas specific to the nonprofit industry. By developing a persona to organize your work around, it helps you understand the key items that should relate to your audience. Instead of creating mass messaging that doesn’t appeal to anyone, we should be crafting communications that speak to directly to a specific audience. Yet I feel that we shouldn’t stop at Donor Personas but to think about messaging in three distinct but interrelated ways. The reason that it is important to come at these as three separate persona approaches is to be able to group your thoughts around them in vastly different ways as opposed to trying to think of donors as a few simple segments. The goal is to create a few Prioritized Personas to focus your efforts around. Donor Personas encourage you to think about the relationships you have with your constituents and your focus on crafting them should be to articulate as much information specific to your community as possible. Taking into account details that would only pertain to your organization are going to be important here, such as Donors Who Volunteered or Board of Director Sourced Donors. This will help focus the strategy you will employ with your overall Prioritized Persona. Retention Personas encourage you to focus on the person that is represented in the reality of your database. Many times the mistake around creating personas centers on its reliance on marketing and by removing vanity metrics from the equation, this will ensure your organization is approaching this with hard data to back up your strategy and tactics. This is an easy start to creating your messaging and engagement strategy, since this is where we are thinking about the people themselves. We can easily put a face to a persona since we’re trying to create messaging around a specific type of donor we may be working with. First Timer Annual Fund Donors: these are new donors giving small gifts to your organization, usually through direct mail or events. Repeat Annual Fund Donors: these are more committed donors to your mission, giving multiple years in a row and usually through personal contact with your organization. Special / Major Giving Donor: these donors are giving gifts that are perhaps $1000 or more and typically directed to a specific program at your organization, such as a capital campaign. Planned Giving Donor: these are dedicated endowment gifts that are obtained usually through intensive contact with your organization. Many resources will state that your organization should think communication strategies when designing your donor personas, such as creating a donor persona specific to First Time Annual Fund Donors who also give through email. This is a good start but the Persona Priority Matrix will allow more data driven sophistication when approaching how to review where to begin your outreach. 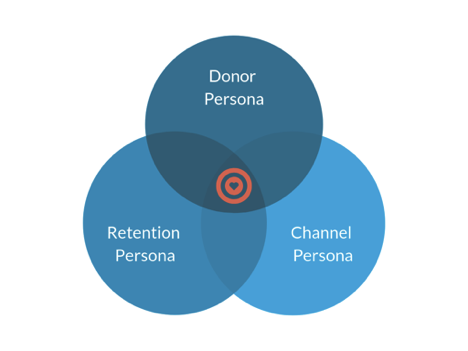 If the Donor Persona is focused on WHO is the donor, the Channel Persona will allow you to focus your thoughts on the HOW we are messaging this donor. By creating another persona type, it’ll allow your marketing team (or marketing hat, if wearing multiple hats) to flex their particular strengths. It is very important to note that evidence points to omni-channel engagement as the reality of why donors usually give. Someone may receive an email from your organization and then remember that they received a remit envelope from your organization and mail you a check. Or they may see one of your videos on Facebook and then go back to the email that they received earlier that week. Channel Personas help identify the dominant ways that your donors may digest your appeals. This is a way of grouping your donors into concretely defined segments as they relate to key metrics around fundraising health. Areas such as retention, attrition, upgrades, downgrades, and many more are going to be key in creating these personas. This represents the WHY of your persona spectrum, unpacking the reasons why or why not a donor may be giving to you. Large amounts of research point toward retention as one of the most effective paths to increasing your growth in giving year over year as well as long term revenue for your organization. All of these types of donors deserve their own breakout since they represent different portions of the donor’s journey within your organization. Once you have defined all three of these different types of personas, the real work is to then bring them all together and overlay them into a few Prioritized Personas. Underlying all of this will be understanding the resource and capacity realities that define your organization’s day to day. Craft all three persona types and lay them out in front of you, literally. You can use a Persona Template to create these different personas if you think that will help. Get ready to run a few different reports. These will focus around your demographic data, donations data, and your marketing data. Run a report on your donors themselves. Don’t output information on their donations just yet but look at the most useful demographic information you have available, such as geographic location, marital status, age, and custom information specific to your mission. Run reports that will define where your most effective marketing channels are. Importantly, focus on the return on investment around these campaigns. Think hard about the money spent versus the money brought in from that effort, not the emotional energy put into making that channel happen. Run the reports outlined in the Fundraising Effectiveness Project’s Toolkit that will help you zero in on the Retention Personas that your organization should focus on first. Line up the three persona types you’ve crafted with each of the reports you’ve run. Donor Personas are aligned with the demographic data, the Channel Personas align with the marketing data, and the Retention Personas align with the FEP data. Look at the top three results in each and then overlay them to see if there’s any consistency between them. Define top results in terms of both revenue and amount of donors that fall within those personas. Try to pick out a few records within your donor database to see if there is someone who matches the overlay perfectly and then use that persona to hone your strategy, tactics, and metrics tracking specifically around them as your fully formed Prioritized Persona. Example: your organization runs all reports and finds that the top hit is a donor who is a woman in her 50s who has volunteered previously and gives consistently to your organization in small amounts year over year through a mailed check to your annual fund’s spring appeal. Looking closely at a three sample records of women who fit this Prioritized Persona, it turns out that these individuals all attended the same volunteer training that your organization puts on. Once you have honed your data and personas into a few key Prioritized Personas, use this information in an immediately actionable way. For instance, in our example above it may be that your organization would invest more resources into training volunteers into solicitors for your organization in a nuanced and mission focused way. Or that you’d feature them in your next newsletter as a first step toward turning them into a legacy gift toward your organization. The key to the Persona Priority Matrix is putting data side by side with the reality of who your donor base is and how they respond to your mission. Instead of taking a shot in the dark, the Prioritized Persona Matrix will allow your organization to light the path to engage more donors to invest into your mission. Run this exercise every few months and see if there are any further trends or changes in donor behavior. Looking for a donor database that can actually have all three of these reports in one place? Check out NeonCRM and try a 30 day free trial. Tell them Pamela sent you! 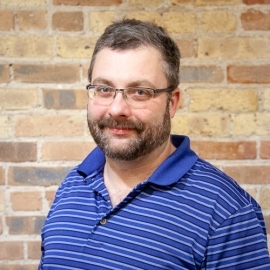 BIO: Tim Sarrantonio is a team member at Neon One and has more than 10 years of experience working for and volunteering with nonprofits.Tim has raised over $3 million for various causes, engaged and enhanced databases of all sizes, procured multiple successful grants, and formulated engaging communications and fundraising campaigns for several nonprofits. He has presented at international conferences and is a TEDx speaker on technology and philanthropy. He volunteers heavily in his home Niskayuna, NY. Previous post: What’s In My Inbox | The Southern Poverty Law Center slays…with the help of their donors!